Drunk driving causes significant concerns with auto insurance. 3. How Much Personal Liability Coverage Do I Need on a Homeowner's Insurance Policy? 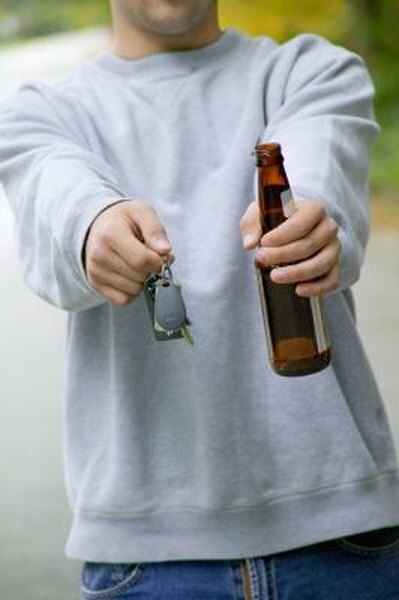 Driving while drunk can result not only in a costly fine and jail time if you are caught, but also put you at significant financial risk if you have an accident resulting from your overindulgence. The risks increase significantly if another person is injured or killed as a result of the accident. Any damages excluded from coverage, as well as damages over your policy limits, will be your responsibility. Your insurance provides coverage up to your policy limits for an accident while you were driving under the influence. In most cases, there are separate limits for property damage and personal injury, with most policies providing a higher amount for personal injury coverage. Unless you have a single limit policy, which provides one limit for all accident liability, personal injury coverage is broken down per individual and per accident. A policy may cover $300,000 per accident in personal injury coverage, but only $100,000 per person injured. Any damages you cause by driving drunk that are not covered by insurance are your financial responsibility. This includes any personal injury or property damage that exceeds your insurance limits. Your financial assets and income may be taken to pay any judgment if a victim wins a lawsuit. In addition, while many types of legal judgments can be discharged in a Chapter 7 bankruptcy, you cannot discharge judgments arising from drunken driving lawsuits. The financial responsibility for this action will remain with you even after bankruptcy. Your own car insurance company may look to others to pay for damages if it believes someone else shares in the liability. This could be a person who served you alcohol, for example. If you were at a private party at a person's home, and the homeowner served you alcohol during the party, he can be held liable. In this case, his homeowner's insurance should pay the claim for him, provided he does not have alcohol liability excluded from his personal liability coverage. Bars and restaurants usually carry this coverage as part of their business liability insurance. Getting insurance after an accident involving drunken driving can be a challenge. Depending on your driving record and other risk factors, your insurance company may cancel your policy. In this case, it will be difficult to obtain a new policy at a reasonable price. If your insurer does not cancel your coverage, your premium rates could increase by 25 percent or more. Bankrate.com: Holiday Parties -- Eat, Drink and be Wary!